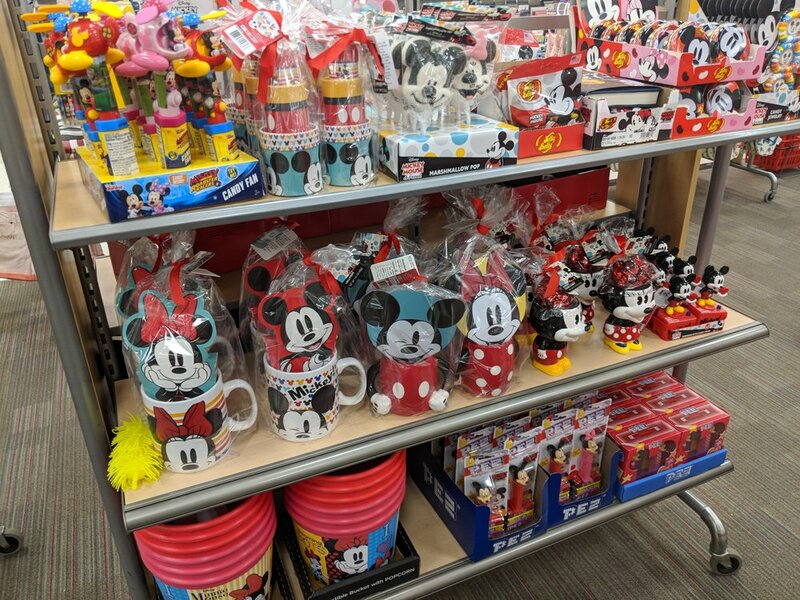 I kept seeing posts about the Junkfood collection celebrating Mickey Mouse. I kept checking the Target app and it was showing nothing online or in-store. So I took it upon myself to head on in there and check it out for myself. Since it literally just came out in our store this morning, most of the items didn't have price tags. 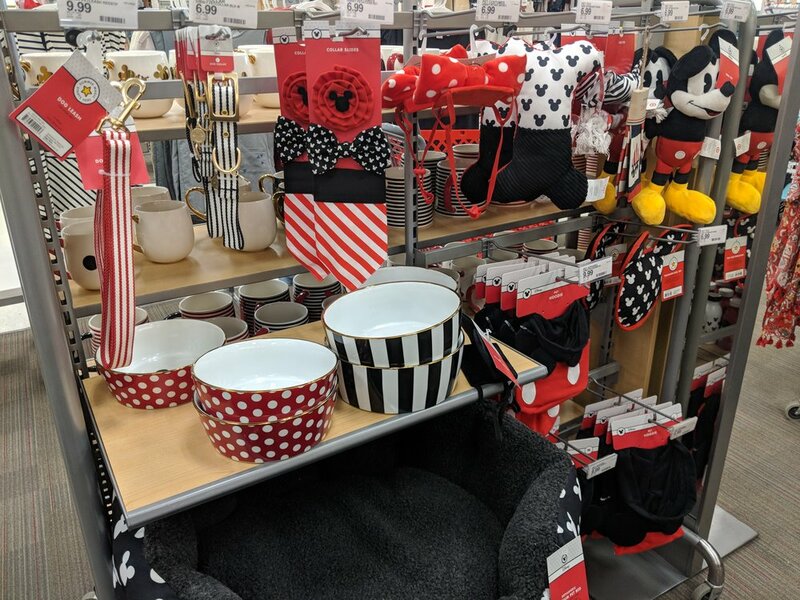 The collection was displayed in the two spots The women's section and included HomeGoods, bath and body, women's clothing, men's clothing, and pet supplies. 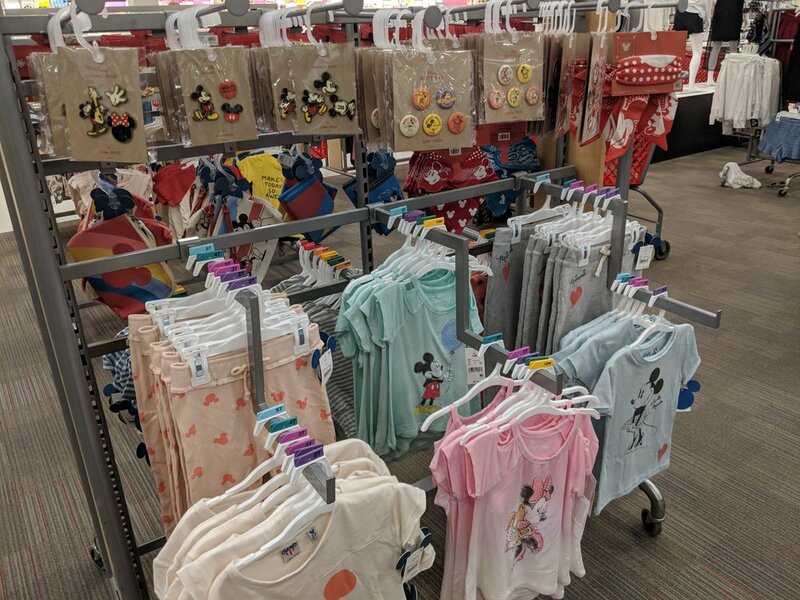 The children's section had the second display and included baby, toddler, boys and girls clothes, candy, pins, patches, plushes, jewelry and snacks. Perfect, popcorn buckets, Jelly Belly's and more! Pins and patches and clothing in the children's section. Mugs, mugs and more mugs! I purchased the black Mickey Mouse water bottle for $10 dollar. The smaller stainless steel bottles were $7.99. Bath bombs, scrubbies, lotions and makeup bags and brushes. From the above section I purchased the clear medical/makeup bag with the Mickey shape on it. I can't wait to use that to carry all my children's medicine and toiletries on our next trip. The price for that was $5.00. I also purchased the Mickey Mouse shaped Lip Smackers for $5.00. It's randomly a chocolate flavour, which I'm not a fan of but my kids are. I felt that I should of bought more of the smaller items for stocking stuffers for Christmas. Everything was reasonably priced, even for Disney items. I was actually shocked at the price of some of the things. I also picked up matching sunglasses ($15 for adults and $10 for kids) for myself and my daughter and also husband and son. Because nothing pisses me off more than my kids ruining my sunglasses. So bought those for our next trip. I didn't get a chance to look at the prices of the pet supplies in advance, but this is everything our store had with regards to pets. Costumes, collars, bowls, and chew toys. The sunglasses that they had for adults and children. The above ladies sandals were $24.00 and they also carried them in the children's section. They really had alot of coordinating sets for parents and children. The whole collection had a very faded retro feel that I like. The above men's shirt was also $24.00 and was a nice light summer shirt for men. 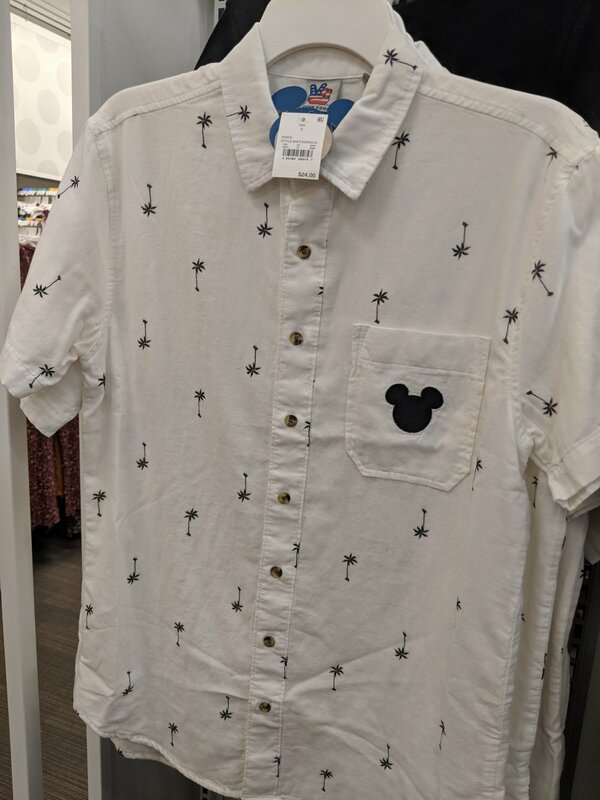 They had a similar shirt for boys. So that was just a quick rundown of what they had in my store in case the app still wasn't posting all the new arrivals. Whats your must have piece? May 30 I love this pin!!! Apr 19 Why Bon Voyage is our favourite character breakfast.